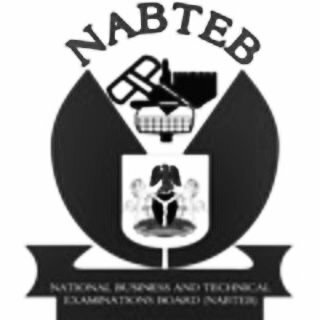 FREE DOWNLOAD: The National Business and Technical Examinations Board (NABTEB) Physics Syllabus Now Available for Download in PDF Online. The National Business and Technical Examinations Board (NABTEB) has uploaded the Physics Syllabus for prospective students. This syllabus has been designed from the NBTE Curriculum for the sole purpose of examination. It is designed to portray physics as a core science subject with emphasis on the acquisition of knowledge and skill associated with the concepts of Matter, Position, Time, Energy, Waves, Fields, Atomic and Nuclear Physics and Electronics. a. ensure that candidates acquire proper understanding of the basic underlying principles and applications of Physics. b. develop scientific knowledge and skills which will be the spring board for further scientific studies and activities. c. inculcate in students the general scientific processes and phenomena towards the eradication of ignorance and superstition. d. develop relevant scientific attitudes such as precision, objectivity, initiative and inventiveness for the purpose of technological development. Section B: will consist of Five questions out of which candidates will be required to answer Four questions. It will last for 1½ hours for 80 marks. PAPER 2: will be a practical test which will last for 2 ¾ hours and will comprise three questions out of which candidates are to answer any two questions for a total of 70 marks. private candidates during the November/December series. It will last for 2 ¾ hours for a total of 70 marks and will comprise three questions out of which candidates are requested to answer any two questions.